The Gonzales family lost four horses during the Hale Fire in Morgan Hill Tuesday afternoon while their other horses were able to escape. The cause of the fire is still under investigation. Robert Handa reports. 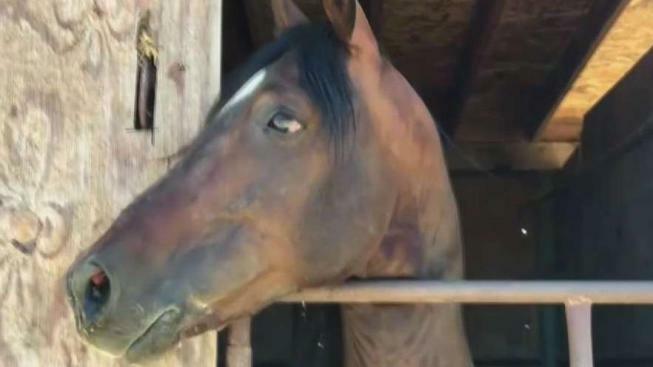 The Gonzales family is mourning the loss of their four horses that died in a brush fire that burned in Morgan Hill Tuesday afternoon. The fire, which scorched roughly 50 acres, threatened about 20 structures along Hale Road, near Live Oak Avenue and Monterey Road, and burned three outbuildings before being fully contained, a Cal Fire official said early Wednesday. "It's sad, you know, that they lost their horses,” said neighbor Octavio Nuñez. The fire was first reported at 2 p.m. Tuesday and prompted eleven engines to the scene and about 75 firefighters battled the flames that quickly spread, Cal Fire officials said. Firefighters on Monday kept an eye on a brush fire that spread rapidly in South San Jose and prompted evacuations Tuesday at a school and an IBM research facility. Roz Plater reports. "We're dealing with extremely hot temperatures and low humidity," said Pam Temmermand from Cal Fire, before crews gained control of the flames. Though no injuries were reported and the flames did not prompt evacuations, the Gonzales' only silver lining was that two of their other horses were able to escape. "You know, it happens really fast and really quick," said Nuñez. "The only thing you think is about yourself, your belongings, your family." Chaparro, one of the family horses was able to run out of the burning barn and was rescued by a family member. Sources say Cal Fire investigators are focusing around Miramonte Avenue as the possible origin of the fire, which is still under investigation. "The majority of fires in California are human-caused," said Cal Fire Battalion Cgief Jonathan Cox. "Be super vigilant out there." 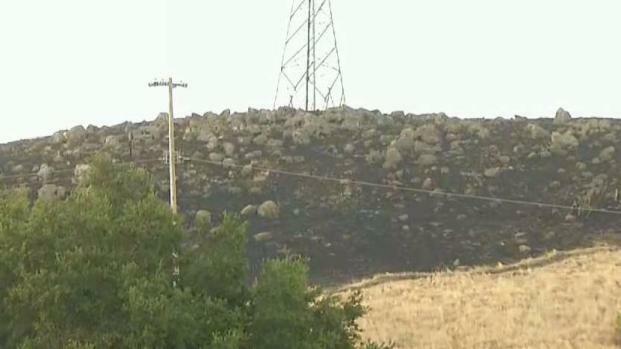 The fire burned at least 40 acres and threatened structures near Live Oak Avenue and Monterey Road. Marianne Favro reports.